Perhaps one of the reasons for the success of the RCIA in the Roman Catholic Church has been the work, over a period of three decades since its founding in 1981, of the North American Forum on the Catechumenate. The Forum had to disband in 2013 for lack of funds. But during its heyday it played a starring role in shaping formation ministries across the United States and Canada that centered in an immersive, experiential approach to Christian initiation. Bible study ceased to be an academic exercise and became, in Kavanagh’s words, “conversion therapy.” “Catechesis helps the convert reassemble his or her personality and life around the new center of gravity which is God revealed in Christ Jesus.”6 Institutes of the Forum on the Catechumenate emphasized not only catechesis and liturgical ritual, but also community life and pastoral service. “It isn’t only head knowledge,” said Vicky Tufano, a pastoral associate at Ascension Catholic Church in Oak Park, who helped lead Forum institutes since 1987, “It is about the whole person coming into a relationship with God.” The catechumenate upends the seeker’s assumptions about God, the world, and even the church, and catechists are the ones who lead catechumens through this process of conversion, assisted by the catechumens’ parish-appointed sponsors. As with The Liturgical Conference, which was originally a Catholic organization devoted to liturgical renewal that became ecumenical in 1979, so non-Catholics began to participate in the Forum’s institutes—even some Lutheran pastors and lay people. Now Lutheran pastors and congregations are catching on that some version of the RCIA is a tried and true and ecumenical way of making Christians. This issue of Let’s Talk features reports on several congregations in the Metropolitan Chicago Synod that have implemented some version of the adult catechumenate and the rites of Christian initiation. We trust there are others. We hope that during this Lenten season catechumens are being prepared for their baptism and first communion at the Easter Vigil in congregations throughout our synod and the ELCA and in other congregations and church bodies as well. 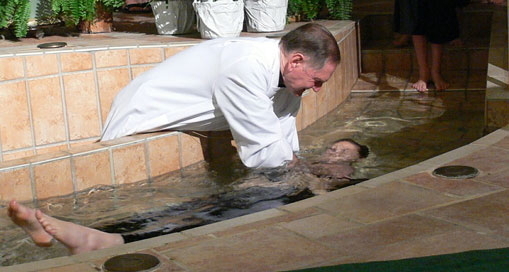 Lutheranism, among the Christian traditions, has emphasized the premier role of Baptism in the life of the church and in the personal Christian life. Our theology says that this is where we should be putting our emphasis in congregational life—inviting people to the font. Let me tell a story about invitation. At Immanuel in Evanston an active church family with several children always sat in the front pew. The father had been raised in the Jewish tradition but increasingly attended worship with the rest of the family. I wasn’t too surprised when I saw him singing the hymns and chants because he liked music. But the Sunday I saw him reciting the Creed I went up to him after the service and said, “Charly, if you’re going to confess the Trinitarian faith you’ve got to get baptized.” He was surprised but readily agreed. He became my first real adult catechumen according to the process of the RCIA. He was enrolled as a catechumen on the First Sunday in Lent and met with me during the week for catechetical instruction. (Okay, he was a man with a Ph.D. so I threw in Luther’s Large Catechism as well as Karl Barth’s Dogmatics in Outline, which was a commentary on the Apostles’ Creed.) On the Third Sunday in Lent I presented the Gospels and the Creed to Charly and to my confirmands. (See my “As I See It” column in this issue of Let’s Talk.) On the Fourth Sunday in Lent I presented the Lord’s Prayer to this group. On the Fifth Sunday these texts were recited back. We included prayers for Charly in the Intercessions. His whole family (all six of them) served as his baptismal sponsors. The whole congregation was so excited about what was happening that we had a really good attendance at the Easter Vigil that year for Charly’s Baptism and First Communion. Charly was the first of several other catechumens over the years—including one baptism that had to be delayed until the Pentecost Vigil one year because of a late start on catechesis, with the whole choir serving as sponsors. With this introduction we offer in this issue of Let’s Talk reports from congregations that have had experience with the catechumenate. It seems appropriate to begin with a report from a Catholic parish since the Roman Catholic Church pioneered the retrieval of the rites of Christian initiation of adults and the catechumenate. I interviewed Sister Christina Fuller, osf, who is the Director of Religious Education of St. Nicholas Catholic Parish in Evanston and coordinates the catechumenal process. The reader will see similar processes being used in several of our synod congregations. These rites of Christian Initiation were retrieved and implemented at Immanuel Lutheran Church in Chicago. In “A Sounding in the Ear,” Pastor Monte Johnson explains the roots of the term “catechumen” and describes a process at Immanuel that lasts from Advent through Pentecost. Immanuel draws into its catechumenate adults who need to be baptized, adults who desire to renew their Baptism, and parents who desire Baptism for their young children. Pastor Johnson provides an outline of what happens in the catechumenate and with the newly baptized after Easter at each stage along the journey. Krista Kapp, a Discipleship Director, and the Rev. Timothy Brown, Pastor, submit a report on the intentional development of a catechumenate at Luther Memorial Church, Chicago after a group in the congregation read Paul Hoffman’s Faith Forming Faith (reviewed in this issue—see below). Luther Memorial has catechetical seasons in both the Fall and the Spring leading to reception of new members on All Saints’ Sunday and at the Easter Vigil. This has proven to be a successful way of drawing new members into the congregation. As in the other reports, the role of the sponsors at Luther Memorial is crucial to the faith formation and integration of new members. With the increasing emphasis on the Christian initiation of adults we cannot forget that our Lutheran congregations are still baptizing infants and young children. PJ Malin, Pastor for Family Life for Good Shepherd Lutheran Church in Naperville, describes a small group effort to work with parents who desire their children to be baptized. As baptism increased in importance in the lives of the parents and the congregation, it provided a welcome environment for unbaptized adults to come forward seeking baptism—particularly Pastor Malin’s father. We hear from someone who has gone through the catechumenal process as a young adult leading to a meaningful renewal of baptism. Marcus Lohrmann is a Master of Divinity student at the University of Chicago Divinity School serving at Holy Trinity Lutheran Church in Chicago as a field education seminarian. Pastor Craig Mueller has involved him in organizing a catechumenate at Holy Trinity. The retrieved catechumenate has been around long enough to evaluate its effectiveness. Pastor Mark D. Williamson, my co-editor on this issue, wrote about the catechumenal process at St. Paul Lutheran in Wheaton in a previous issue of Let’s Talk from 2012. Here, in his piece “Customizing Your Catechumenate: Questions to Ask Before Getting Started (and After),” with the benefit of four years of hindsight, he offers guidance on some of the key questions pastors and other leaders wishing to design a catechumenate will want to sort through as they prepare for launch. For my “As I See It” column I offer a sample sermon for preaching in the presence of catechumens—and the possibly bewildered congregation at St. Luke’s Episcopal Parish in Evanston to whom I preach it on the third Sunday in Lent. (I had been invited as the Sunday morning guest preacher during Lent in 2014 with the expectation of giving attention to the catechumenate and mystagogy9—instruction on the sacraments). I also offer some ritual possibilities for the “handing over” of the gospels to the catechumens and make a not so subtle argument for the restoration of exorcism. I think we miss the mark if we don’t make use of the opportunities for effective ritual offered in the rites of Christian initiation. Our other regular columnist, Benjamin Dueholm, writes about his congregation’s experiment with a catechumenate group. He raises the important question: how can congregational cultures formed by the more “easy access” church growth philosophy adapt to this older, more intensive form of making disciples? What do we do with those who come into the church with practically no background in Christian faith and life? The catechumenate seems to be the answer and it has the advantage of being adaptable to the various faith-situations of our seekers—more than just a two- or three-week new member class, in my view. Finally, the Rev. Heidi Haverkamp, the vicar (pastor) of The Episcopal Church of St. Benedict, Bolingbrook, reviews Faith Forming Faith: Bringing New Christians To Baptism And Beyond by Paul E. Hoffman. Hoffman describes a catechumenal process called The WAY that he implemented in Seattle, Washington, which is a highly unchurched section of our country. Haverkamp acknowledges that the rigorous intentionality of Hoffman’s seven-month program can be off-putting to many pastors and people in the church. 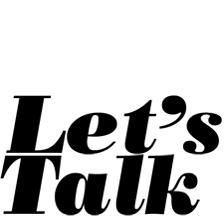 This issue of Let’s Talk is being posted close to Holy Week when the rites of Christian initiation come to a climax in the sacraments of Holy Baptism and Holy Communion at the Easter Vigil. Those who have the catechumenate in their congregation may compare notes with the reports given here. Those who want to implement this process (it is not a program!) in their congregation now have plenty of time to prepare for next Lent, Easter, and Pentecost, since the gathering of seekers needs to begin in the fall. With that we invite the readers, as always, into the conversation—but hopefully also into the task of implementing the catechumenate and full rites of Christian initiation in their congregation. ^Ralph Keifer, “Christian Initiation: The State of the Question,” in Made, Not Born: New Perspectives on Christian Initiation and the Catechumenate from The Murphy Center for Liturgical Research (Notre Dame, IN: University of Notre Dame Press, 1976), 138. ^See The Rites of the Catholic Church as Revised by the Second Vatican Ecumenical Council (New York: Pueblo Publishing Company, 1976), 3-181. ^Aidan Kavanagh, The Shape of Baptism: The Rite of Christian Initiation (New York: Pueblo Publishing Company, 1976. ^See the Welcome to Christ: Lutheran Rites for the Catechumenate (Minneapolis: Augsburg Fortress, 1997); Welcome to Christ: A Lutheran Introduction to the Catechumenate (Minneapolis: Augsburg Fortress, 1997); Welcome to Christ: A Lutheran Catechetical Guide (Minneapolis: Augsburg Fortress, 1997); Welcome to Christ: preparing Adults for Baptism and Discipleship, Videotape (Minneapolis: Augsburg Fortress, 1998); Welcome to Christ: A Sponsor’s Guide (Minneapolis: Augsburg Fortress, 2002). ^See Frank C. Senn, The Witness of the Worshiping Community: Liturgy and the Practice of Evangelism (New York and Mahwah, NJ: Paulist Press, 1993), 149-64. ^Aidan Kavanagh, “Catechesis: Formation in Stages,” in Michael W. Merriman, ed., The Baptismal Mystery and the Catechumenate (New York: The Church Hymnal Corporation, 1990), 39. ^Frank C. Senn, A Stewardship of the Mysteries (Mahwah, NJ: Paulist Press, 1999), 28-39. I included two chapters on the catechumenate and Christian initiation in The Witness of the Worshiping Community: Liturgy and the Practice of Evangelism (New York/Mahwah: Paulist Press, 1993), 134-64. ^See “Welcome to Baptism,” Evangelical Lutheran Worship, Leaders Desk Edition (Minneapolis: Augsburg Fortress, 2006), 592-95. See the commentary on the catechumenate in Dennis L. Bushkofsky and Craig A. Satterlee, The Christian Life: Baptism and Life Passages. Using Evangelical Lutheran Worship, Volume 2 (Minneapolis: Augsburg Fortress, 2006), 79-95. ^In the ancient church bishops withheld instruction on the sacraments (mysteria in Greek) until after the catechumens were baptized and communed at the Easter Vigil. During the Week of White Robes following Easter Day they preached mystagogical catecheses—instructions in the sacrament. ^See Maxwell E. Johnson, The Rites of Christian Initiation: Their Evolution and Interpretation (Collegeville, MN: A Pueblo Book, The Liturgical Press, 1999); Paul F. Bradshaw, The Search for the Origins of Christian Worship, Second Edition (Oxford and New York: Oxford University Press, 2002), 144-70; Andrew B. McGowan, Ancient Christian Worship: Early Church Practices in Social, Historical, and Theological Perspective (Grand Rapids, MI: Baker Academics, 2014), 135-175.